This is the summary of consumer reviews for Britax B-Agile Stroller. The BoolPool rating for this product is Excellent, with 4.50 stars, and the price range is $180-$250. The B-Agile stroller from Britax, is a lightweight, compact and easy to maneuver stroller that features a one-hand quick fold design with an automatic chassis lock. With its aluminum frame, it weighs only 16.5 pounds, so you can easily lift it into a car or over curbs. It is suitable from birth to 55 pounds. With a no-rethread, five-point harness and infinite-recline seat the B-Agile steers and pushes like a dream. It includes a huge canopy with a mesh ventilation window that lets you see your child. The seat is padded, comfortable and boasts an adjustable head pad. It is available in four color options with super soft, easy to clean fabric. 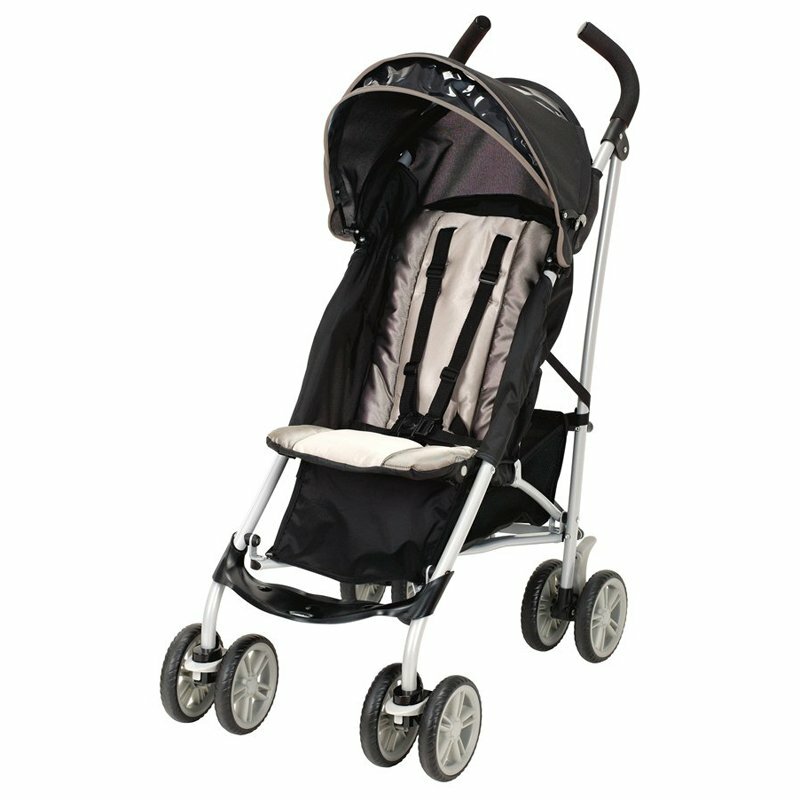 Users like the wide open space between wheels because they can walk easily with the stroller without kicking the wheel. The all wheel suspension offers a smooth and comfortable ride. There is also a huge storage pocket with zipper under the handlebar. The B-Agile stroller can be used as a perfect mobile companion as the Britax click and go system accepts the Britax Chaperone and B-Safe infant car seats without having to purchase additional adapters. Some users complain that the handles are not adjustable height. Also, storage basket under the seat is small and not enough when shopping with babies. This stroller does not come with the cup holders or parent tray. They are available for purchase separately. Overall, the Britax B-Agile stroller is a comfortable, convenient lightweight stroller that includes a multitude of safety features. 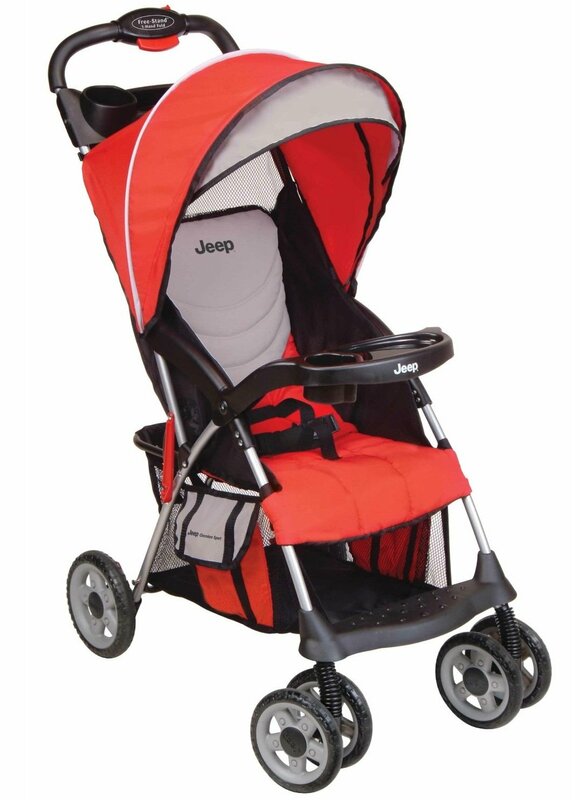 The three-wheel design of this stroller delivers good steering and maneuverability for easy movement. This stroller is really lightweight and easy to maneuver. I was tired of the huge travel system stroller and wanted something easier to use for traveling. The stroller is lightweight and durable, and allows her to position her newborn so that he's comfortable and safe as they travel about town. It opens and folds with one hand, is incredibly lightweight but safe and easy for anybody to operate. We needed a lightweight stroller for travel and trips to the park or zoo and this's absolutely perfect! This's also going to perfect for traveling!. Great for everyday and travel! I decided on this one over the citi mini because it wad 50 cheaper and I liked that this one could work as a travel system if necessary. After months of research I finally decided on this stroller for my 6 month old son. 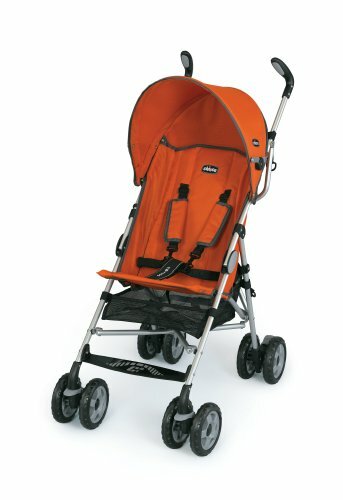 I already own the BOB Revolution and Peg-Perego Skate, but was looking for an "umbrella stroller" for travel purposes. It's so light and easy to fold up with one hand. We've been looking for a light weight, good quality, easy to fold, easy to carry stroller, and we found all of those in this stroller. Great looking, light weighted, good quality! 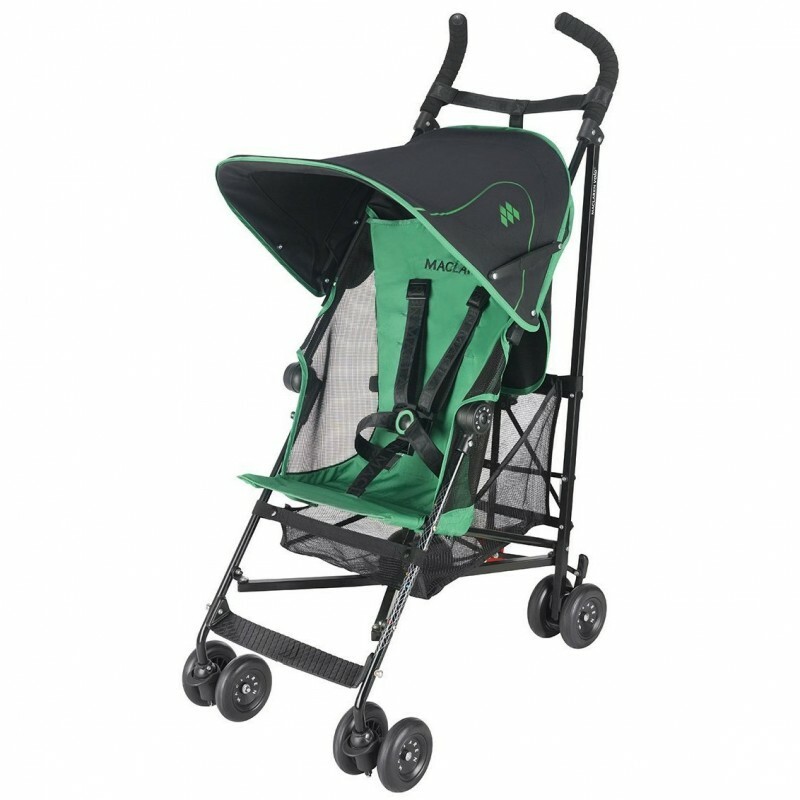 The stroller is very light and is easy to fold up or down. Super smooth ride, super easy folding. This stroller is amazingly compact and extremely easy to fold! Easy to fold and lift into a car while holding a squirmy baby. Good quality, good design and light weight. It maneuvers like a dream and is so light and compact when folded. It's light weight, folds up very easily and I love the option of choosing red as with the black, living in the south, it'd accumulate more heat. Our car seat attaches right onto the stroller and we love that feature. It works well with the B-Safe car seat. The seat height, car seat direction and vent are all simple. It works seamlessly with the britax car seat. 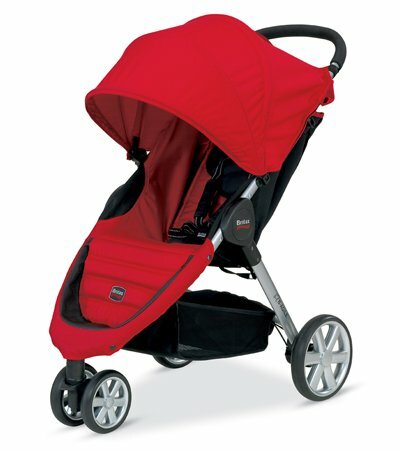 Accessories I own and recommend: Britax stroller organizer, Britax bassinet for infants, B-Safe car seat. Loved that it's compatible with the Britax B-Safe car seat (which we also bought). We purchased this because of the quick release features between the car seat, stroller, and car. I've the adapter and use a Chico key fit car seat. The car seat doesn't easily adapt to many US strollers so we stuck with Britax. We've yet to use it without the car seat or any other attachments (cup holders, etc.). it's stylish, easy to maneuver, doesn't weigh much, and easy to fold up. Turns on a dime, Lite and Easy to maneuver. The matching car seat is EXTREMELY easy to attach. So easy to put together and Super Easy to collapse. So easy to maneuver with one hand. Pros: very easy to maneuver, large canopy, great recline. Seems easy to me, though I'm glad it's not SO easy that my baby would be able to do it himself. I was doing a lot of research and really liked it from the start. My wife and I spend a lot of time walking and the open space between the wheels allows for an easier stride without kicking the bar. It folds really easily and is super light. I saw a lot of reviews for other strollers indicating a lot of hassle getting little screws or other small pieces to fit when installing the wheels- not this one! It's really easy to fold up, is pretty compact and "drives" nicely. It's really the nicest stroller I've found within a reasonable price range. I'm sure I'll also need a drink holder or try when my little one gets a bit bigger, but I can buy those cheaply as well. 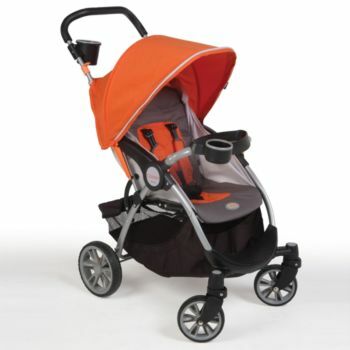 I'm sure the pricier strollers push nicely as well, but for under $200, this's a great buy!. Pros: Lightweight, easy to push, medium sized basket, easy fold, 5 point harness that's hard to open,built solid, large canopy, decent recline. Cons: I think seat back should sit up straighter, no parent tray, cup holder or child tray comes with the stroller (You can purchase these), handle doesn't adjust, I'd like to see a one handed recline for laying back and sitting upright. 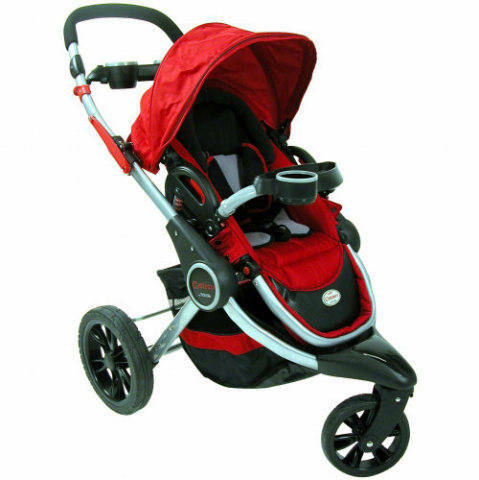 It's a great full size stroller with nice car seat locking mechanism and great fold. The seat seems really comfortable for my child. Easy, one-handed fold (there's a safety button that you've to push first before pulling the strap to fold, which is a great feature). The fold is quick, easy and compact. Handle bar isn't adjustable to fit different sized people. Love love love this stroller!. but love love this product... i also bought Baby Jogger Parent Console ..
Its so light, manageable and must important my baby loves it! The storage basket fits my obnoxious diaper bag if I put it through sideways, and I love how easy it's to fold. My baby now 6 mths love to be in oso. 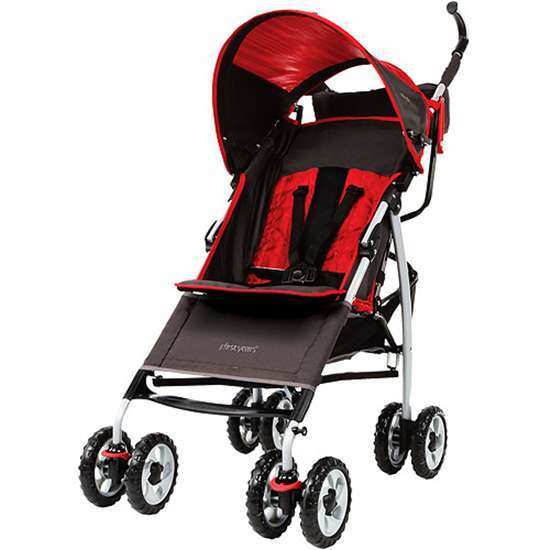 LOVE this stroller and the Red color is awesome! I love how easy it's to transport in my car and fold and unfold. I absolutely love this stroller. 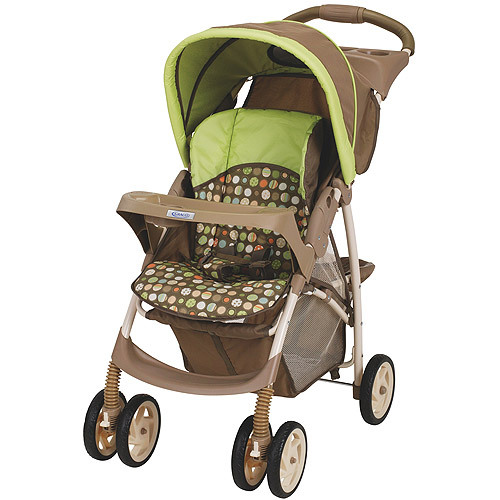 The Good Parts: Smooth ride, easy steering, lightweight, lovely fabric, great sun canopy, comfy seat. Two-step fold process (to get around Baby Jogger's "patented one-hand fold" claims, I'm sure): you press a little button and then pull the handle in the seat. compact when folded; easy to steer without infant seat. Light enough, easy to fold, great travel bag (for purchase separately). large canopy works great without infant seat. Quick and easy 1-step fold w/ automatic stroller lock (BJCM doesn't have automatic lock); lock makes the fold more compact.